Our Old and New Libraries house modern books, journals, CDs, and DVDs. We add around 1,000 new items every year, including multiple copies of key textbooks in many subjects. Many further resources are available online via the terminals provided. The collection aims to support both undergraduates and graduates, especially those on taught courses. The Univ Libraries house three notable named collections: the Browne Library, the Alport Collection, and the Robert Ross Memorial Collection. The Browne Library holds almost 2000 pre-1800 titles bequeathed in 1764 by Univ Master John Browne for the use of subsequent Masters. Recent research has raised questions about the earlier provenance of these books, many of which come from the collection of a previous Master, Arthur Charlett. The Alport Collection, consisting of around 1000 volumes, was bequeathed to Univ in the 1970s by Erich Alport, a Univ Old Member who matriculated in 1926. 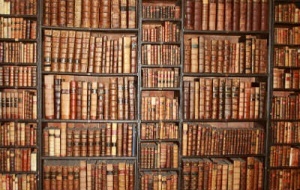 The collection contains works of twentieth century literature, including many first editions. 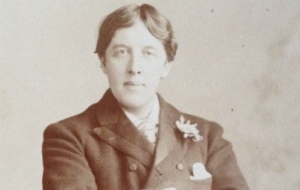 The Robert Ross Memorial Collection, which contains letters and other material relating to Oscar Wilde and his circle, has recently been returned to College, having been held in the Bodleian since the 1930s. The collection was created by Walter Edwin Ledger (d. 1931), a Wilde bibliographer, and named after Robert Baldwin Ross (1869-1918), Wilde’s friend and literary executor. Further details of the Robert Ross Memorial Collection can be found below. The College’s collection of more than two hundred manuscripts, some dating from the 12th century, is housed in the Bodleian Library. A digitised version of MS 100 is available to view on Digital Bodleian. The College is a member of the Oxford Conservation Consortium. 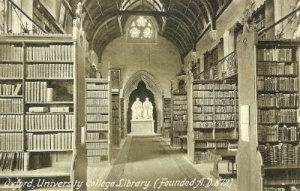 The Robert Ross Memorial Collection contains over 1000 books and periodicals relating to Oscar Wilde (1854-1900) and his circle; including a number of first editions and translations of Wilde’s works, many important biographies of the author, and works relating to literary and artistic movements of the period. The collection also contains newspaper cuttings, prospectuses, publishers’ and booksellers’ catalogues, auction catalogues, portraits and illustrations, and photographs. The collection was created by Walter Edwin Ledger (d.1931), a keen sailor and bibliophile, who originally worked with Christopher Sclater Millard (1872-1927) to produce a bibliography of Wilde’s works. The bibliography was later published by Millard in 1914 under the pseudonym Stuart Mason. With his will, Ledger left explicit instructions as to the future of the collection; stipulating that it be called the Robert Ross Memorial Collection as a ‘tribute of admiration and affectionate esteem to my friend the late Robert Ross in appreciation of his chivalrous and selfless devotion to and friendship in adversity for Oscar Wilde’ (University College Archives: UC:MA44/7/C1/1). 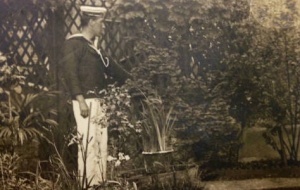 Robert Baldwin Ross (1869-1918) was Wilde’s friend and literary executor. Ledger also specified that the collection remain as a whole, be kept safely, used for study and research as opposed to general reading, and be offered to some ‘semi-private Library’ (University College Archives: UC:MA44/7/C1/1). His first hope was that the collection be given to Magdalen College, the college at which Wilde had studied. This offer was made and refused during Ledger’s lifetime. As Ledger’s executor, Donald Cree (d.1972), an Old Member of University College (1897, Jurisprudence), was charged with carrying out his wishes. Following Magdalen’s refusal, Cree instead offered the collection to his old college and its then Master, Sir Michael Sadler (1861-1943). Appreciating its value, Sadler accepted the collection and placed it in the Bodleian Library where it remained until 2013 when it was returned to the College. Further information can be found in two of our “Treasure” articles in the News & Features pages – Bookplates of the Robert Ross Memorial Collection and Univ’s unsung treasure. Darwall-Smith, R. H. (1997). An Oscar for Master Sadler: the Acquisition of the Robert Ross Memorial Collection, University College Record, Vol. XII no. 1, pp. 46–54. (1973). [Obituary of] Mr. Donald Charles Ludlow Cree. University College Record, Vol. VI no. 3, p. 290. Researchers interested in the Robert Ross Memorial Collection are invited to consult the PDF documents below for more information. The online catalogue records and the lists of Miscellanea are works in progress, so please check back regularly for updates. The majority of the collection’s printed material is catalogued on SOLO (Search Oxford Libraries Online; the Bodleian Libraries’ union catalogue). However, most records are brief and some items remain uncatalogued. Cataloguing of the collection is currently being upgraded with more detail added to existing records and new records created where necessary. The best way to search SOLO for items in the collection is to search by title and limit by University College or to search by shelf-mark (e.g. Ross d.5). Another finding aid for the Robert Ross Memorial Collection is the manuscript handlist probably produced when the collection was received by University College and/or placed in the Bodleian Library. The list is organised into sections (MSS, b, c, d, e, and f) in which running numbers are assigned to individual items or groups of items. Each item or group of items is listed briefly by title and publication date(s). View or download the Ross MSS details PDF (opens in new window) – this is a more detailed document describing the manuscript items in the handlist. The more ephemeral material in the Robert Ross Memorial Collection is currently being catalogued into two series. The first series is identified by the prefix “Env” and contains material originally inserted into some of the books but subsequently removed and filed in accompanying envelopes. It is not known when this was done but the material is now being catalogued and transferred to archival quality storage. Items found in other books are also being added to the “Env” sequence. The second series is identified by the prefix “Box” and contains boxes of miscellanea. These too are in the process of being catalogued and transferred to archival quality storage. This series contains newspaper cuttings, publisher’s catalogues, bibliographical notes, theatre programmes, photographs and other ephemera relating to Ledger’s collection and contribution to the Bibliography of Oscar Wilde.